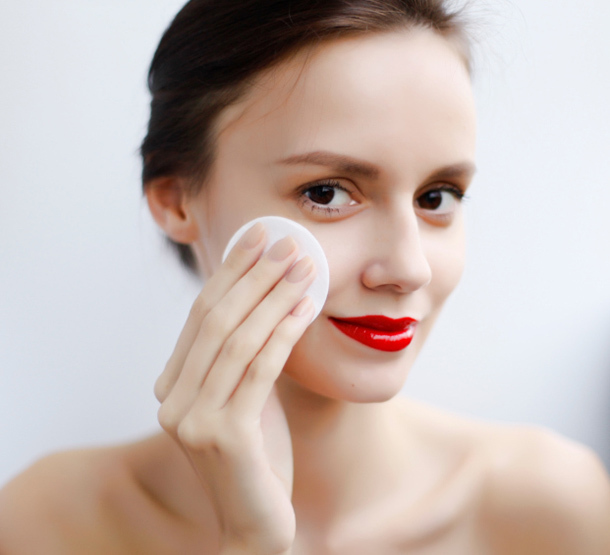 We aren’t always frugal when it comes to beauty products, that’s for sure, but makeup remover is one of those things we always hate to fork over money for. Not only do we run out of it faster than anything else, but it always seems like a bit of a rip-off when you consider that most of them still require us to scrub at our eyes and skin just to remove the day… and, like many things that we turn a blind eye to, they’re likely filled with a plethora of chemicals we wouldn’t dream of recreating. Call us cheap (we aren’t, we swear! ), but why spend our hard-earned money on a subpar product when we can just make our own? All you need for your very own DIY makeup remover is an oil and, if you like, a touch of witch hazel for extra soothing power. It’s really that simple—and the results aren’t only effective, but gentle and non-irritating, even to the eyes, no redness, stinging, or adverse reactions to be had. Start with a base of your oil of choice, like olive, grape seed, jojoba, or liquefied coconut oil, whichever you think works best with your skin. You’ll need a jar with an airtight lid, like a mason jar with a clamp lid, as well as a package of standard round cotton pads. Combine three tablespoons of your oil with a cup of water, as well as a tablespoon of witch hazel if you want—it reduces inflammation and feels super refreshing on the skin—and stir the ingredients in a measuring cup or small bowl. Then add your cotton pads: You’ll want to start slowly, pouring a small amount of the oil and water into the bottom of your mason jar, and then take a few pads and let them sit to absorb the mixture. Repeat with a bit more of the mixture, then a few more cotton pads, until you’ve filled the jar, and there you have it—a ridiculously simple, crazy affordable way to DIY makeup remover pads. Genius.